A growing number of graphic design opportunities in new media (such as smartphone apps and computer systems design) are reinvigorating the industry and creating new jobs for talented artists. Artists who understand computer graphics and design software will be well prepared for a variety of positions in the field. The best graphic designers should be seasoned visual thinkers with an eye for design, color, and typography. They are capable of conveying a clear visual message while constantly imagining new, innovative ways to succinctly broadcast a brand with a few simple shapes and colors. Graphic designers also need to be excellent and sensitive collaborators, able to intuit a customer's needs and work with a team to turn a vision into reality. 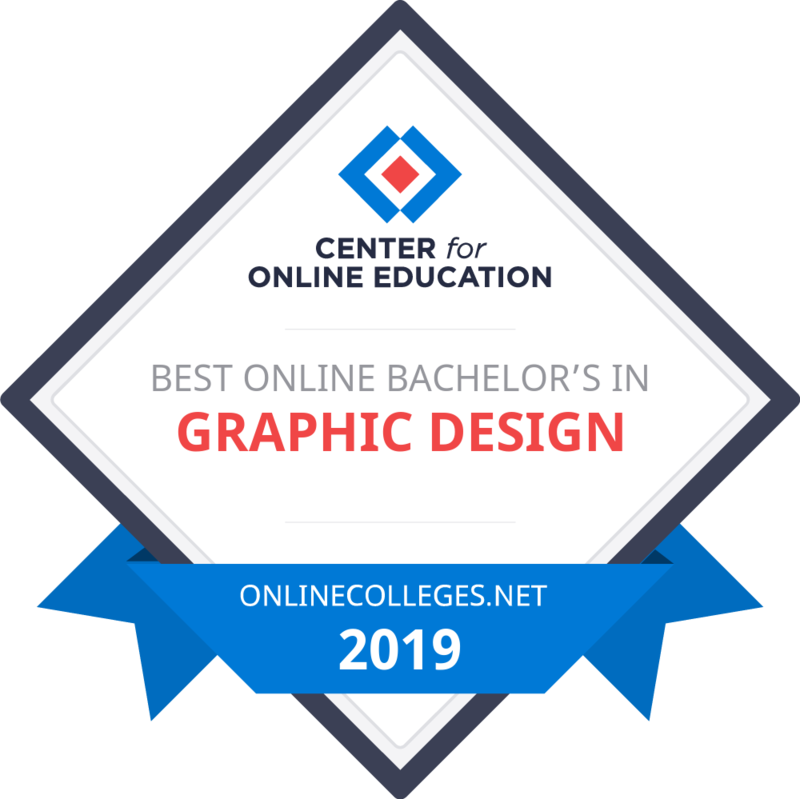 Students interested in pursuing a graphic design career may be intrigued to learn how they can obtain certification online. Whether pursuing a bachelor's, certificate program, or any other kind of degree, distance learners can pursue a variety of online opportunities. Once in school, they can sharpen their technique and prepare for a fun and engaging career without ever setting foot in a traditional classroom. While a graphic design degree is not strictly necessary, most employers prefer to hire candidates with an academic background in the field. According to Burning-Glass.com, of approximately 32,000 graphic design job listings, a full 91% of employers preferred job candidates who had a graphic design degree. An associate degree can help you find work as an assistant to a designer, but you'll find more, and better paying job options with a bachelor's or master's degree. Students in an associate program learn the basic technical and creative skills necessary to pursue a graphic design career. Upon graduation, they should know how to use graphic design software, and be able to integrate the fundamental principles of typography and color theory into their designs. An associate degree typically takes 18 months to two years of full-time studying to complete, at an estimated cost of nearly $20,000. Often, graphic designers with associate degrees become graphic design assistants. A bachelor's degree in graphic design teaches students the basics of art practice and history, providing them with a strong foundation in design for ads and websites. Students graduate with a thorough understanding of commercial artwork. A degree typically takes four years to complete, at an average cost of nearly $23,000. Students learn to apply visual language in design courses, in subjects like typography, advertising, and logo design. Graphic designers with a strong grasp of new media design, such as mobile apps, will be particularly competitive candidates in the job market. This private, nonprofit university awarded its first bachelor’s degree in 1966. It has expanded its campus and curriculum to include more than 200 undergraduate and graduate programs available on campus and online. SNHU offers two online graphic design degree programs: a bachelor of arts in graphic design with an emphasis on 3D modeling and animation and a bachelor of arts in design and media arts with an emphasis on web design. Both programs train students to use industry-standard software and provide them with the necessary skills and knowledge required to obtain careers such as web development, digital animation, and interior design. Core classes, such as desktop publishing and typography, stress technical proficiency, while seven elective classes allow students to build a well-rounded education through courses that teach critical thinking and how to promote themselves. SNHU’s online program can be completed using either Mac or PC platforms. There are two undergraduate graphic design degree online programs at Savannah College. Both offer students a choice between a BA in visual communication or a BFA in graphic design. Each program takes a holistic approach to learning that covers basic design classes in subjects such as drawing and color theory. Students also take courses in entrepreneurship, mobile technology, and product packaging. Learners are required to earn 180 credits. The Savannah College eLearning platform is user friendly, allowing students to access classes and submit assignments on a variety of devices, including tablets, laptops, and cell phones. Online students participate in classes by using discussion boards, video conferencing, and screen capture applications. Savannah College’s Campus Creative Learning Center offers a design challenge competition that is open to all students and offers a real-life opportunity to design something for a major corporate partner. BU, located in Bellevue, Nebraska, has been educating students for more than 50 years. Its online graphic design degree program combines hands-on learning with design theory. Students leave the program with extensive professional portfolios that include print and digital design projects. The 127-credit curriculum includes three classes in the school’s unique Kirkpatrick Signature Series. Series classes, such as freedom and responsibility, encourage active intellectual discussion and focus on the traditions and institutions that have contributed to American success. Major courses include website development, web page design, and identity design. Bellevue offers a discount to military students in the graphic design major. The school takes pride in its small class sizes – including online courses – which allow instructors to provide more personalized attention to students. Online tutoring and tech support is available to distance learners. Students can use a Mac or Windows PC . California Baptist is a private Christian college based in Riverside, California. The school’s educational approach involves combining academics with spiritual and social development opportunities. Students in the graphic design online degree program learn industry-standard software tools such as Photoshop and Illustrator for creating images, InDesign for desktop publishing, and Dreamweaver for web page development. Students also learn the foundations of Christian thought and gain Biblical knowledge. The senior capstone project is intended to be the start of a student’s professional portfolio. Other courses include WordPress and advanced blog design, advanced video, animation design, and studio lighting. CBU’s online degree programs were created with working professionals in mind. Classes start every eight weeks, and students have the option of completing the program completely online or online and on-campus through evening courses. Accelerated courses are also available, and most students complete the program in 16-months. Independence is an online college focused on providing career-based education. Their online School of Graphic Arts offers three graphic design degree online programs tailored to several career options. The BS in graphic arts program is for students looking for a broad education. Graduates are prepared to work independently as freelance designers. The BS in graphic arts with an emphasis on information design is aimed at visual storytellers, such as marketing and advertising professionals, and the BS in web design and development provides the technical foundation for future web designers. Independence is committed to helping students succeed at distance learning. Learners receive free live tutoring, one-on-one success coaches to answer questions and offer personalized service, and employment assistance for graduates. Students receive a free tablet and Mac laptop, fully loaded with required software, as part of their enrollment package. Students can complete these programs in about 36 months. The graphic design degree online program at Stevens-Henager was designed to help its graduates obtain entry-level and mid-career positions in the field. Students can earn either a BS in graphic arts or a BS in graphic arts with information design emphasis. Both are 36-month programs that cover the foundations of graphic design, such as layout, typography, and digital imaging. Students also take general education courses, including English composition and college algebra. The curriculum includes a senior design capstone project in which students will be required to implement the skills and knowledge gained throughout their coursework. As one of the oldest schools in Utah, Steven-Henager has been fulfilling its mission of teaching commercial subjects and placing graduates in business positions for more than 120 years. Their faculty provides instruction and real-world career advice. Class sizes are intentionally smaller than traditional schools, giving instructors more opportunity for one-on-one interactions with students. California College is part of a system owned by the Center for Excellence in Higher Education. They have campuses in San Diego, San Marcos, and Chula Vista. Like its sister institutions, Steven-Henager College and Independence University, California College’s online graphic design degree programs are aimed at preparing students for career advancement in the field. The school has a standard graphic arts degree and one with an emphasis on information design. Three BS degree options are available that lead to careers as art directors, mobile app designers, or multimedia artists. Each program is 180 units. Students receive training on industry-standard tools such as Photoshop. Courses include selling and sales management. A final capstone project gives students a chance to implement their knowledge in an original design creation. Students are supported through online tutoring and advisors. There are several scholarships geared toward adult learners that are available to qualified students. Master's programs explore advanced theoretical issues of design, ranging from typography to branding to sustainability in design. A master's program usually requires students to complete 10-15 courses, which normally takes two or three years. The process culminates in a thesis design project, which merges lessons from design theory with practical application, and may require significant studiowork. Completing a master's program prepares students to begin working on a design staff or to launch their own enterprise. A user experience/interaction designer's job is to create the overall sensory and informational experience that users will feel when interacting with a product or service. Interaction designers help develop the visual and practical design of a product. They account for how a product will function and provide information to the user, and ensure that it does so in a positive, enjoyable manner. Designers should master user interface design, as they will often be responsible for creating the wireframe, or basic overview of a website or online app. Designers need to be creative, analytical thinkers with an appreciation for aesthetics and a knack for anticipating user needs. They must also be comfortable collaborating across sectors, from design to IT. Freelance graphic designers help brands or businesses communicate visual messages through typography, symbols, color, and images. They often help develop visual brand identity by designing booklets, flyers, brochures, or web graphics. Freelance graphic designers need a strong eye for color and balance and should be able to employ a variety of visual approaches into their work. Freelancers must be self-starters. They should understand their strengths and weaknesses and feel comfortable marketing themselves. They need effective time management skills, and the creative flexibility to meet diverse customer needs. Successful designers build relationships with clients and enjoy networking with potential customers. Creative directors need to be imaginative, big-picture thinkers who can help business owners express their brand in everything from visual advertisements to product design. They are responsible for conceiving broad overall concepts and projects for graphic design, advertising, web design, and product design. Creative directors are responsible for managing teams of designers, copywriters, and multimedia producers, making effective leadership skills critical. They also need to be business savvy, as they are charged with overseeing budgets and timelines, while offering creative feedback on projects across all departments. Laura Stinson is the web and graphic designer behind Designed by Laura. 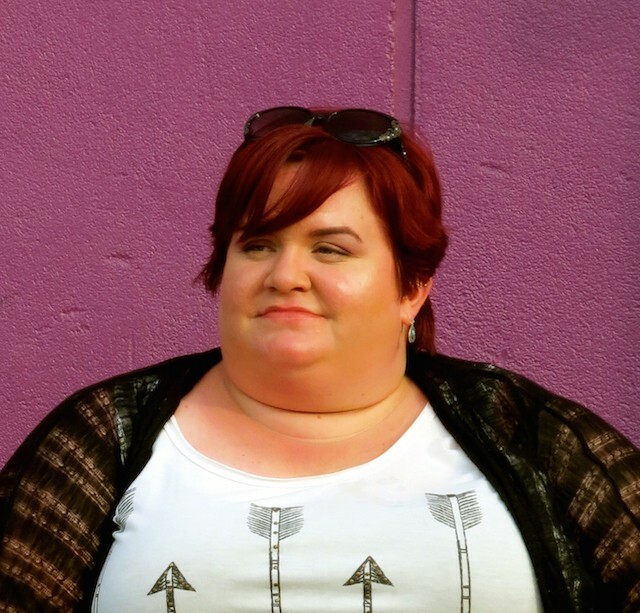 She specializes in WordPress websites and identity design packages for entrepreneurs, small businesses, and nonprofits. Laura earned her BA in English in 2003, through a traditional on-campus program. In 2009, she returned to school for a web design & development degree. After completing her AS, she realized that design was her true passion, so she earned a BFA in Graphic Design in 2013 from the International Academy of Design & Technology Online. Why did you pursue your graphic design degree online? I chose to pursue an online degree for several reasons. One, I had already done the on-campus experience, and being a little older, I knew it just wouldn't be comparable. Secondly, the only school in my area that offered what I wanted was a pretty far drive (45 minutes both ways) and I didn't want to make that drive regularly for however long I was in school. Eventually, I decided on an online program because it allowed me to be flexible in my studying, and gave me the freedom to pursue other interests by not being in a classroom for several hours a week. The biggest advantages to online studying are, as I mentioned, flexibility and freedom. I got to study exactly what I wanted from the kind of institute I wanted to study at, and didn't have to compromise on an on-campus program. I also got to go to school in my pajamas, which is always a plus in my book! What were the challenges or obstacles you faced as an online graphic design student? You have to be very self-motivated in order to complete an online program. Even though you have professors and classmates, it is very much like an independent study. It is also fast-paced. In my particular program, classes lasted only five weeks, instead of an entire semester. So I had to be able to manage my time well in order to complete assignments on time, and to learn the material. In many ways it was a self-guided education. How did the online format help prepare you for your graphic design career? Studying graphic design online was great preparation for me! About 90% of what I do is all done online, via email, chats, document sharing, etc., so I developed the skill set for conducting business mainly online, which carries a different set of expectations than conducting business in person. It doesn't mean you can just set your face-to-face interpersonal skills aside. But, it does mean you have to develop a different set of skills for doing business via the internet. Technically, no official certification is required for most graphic design jobs. While most employers feel more comfortable hiring certified designers, your best asset isn't a diploma; it's a powerful, thoughtfully designed online portfolio. When building your portfolio, think carefully about which of your past projects best highlight your skills. Be discerning. Your portfolio is better served by a thorough visual and thoughtful explanation of a handful of your most impressive projects, rather than a superficial skim through everything you've ever created. It's important to demonstrate the breadth of your skills. If you have videos of user interactions with your products, include those in your portfolio. Also try to show the various stages of your designs to help give employers insight into your creative process. Your profile should show your range as a designer, ability to turn an initial sketch into a final product, capability of meeting a variety of customer needs, and most of all, your unique vision and perspective as a designer.